DESCRIPTION Welcome to Sandstone Valley! A community close to parks, paths, shopping, transit, U of C, easy ring road access and quick commute to down town. This home has been nicely renovated and very well maintained. The kitchen has modern cabinets with classy black counters, comfortable seating at the island and a nicely positioned dining area to fit almost any sized table. Upstairs is open concept and spacious allowing for comfort and functionality when hosting guests or just relaxing at home with your family. Large master bedroom with 4 piece ensuite, stand up shower, jetted tub, and plenty of closet space. Other two bedrooms on main floor are excellent size with large windows. House has just had a fresh coat of paint and carpets have been professionally cleaned. Garage is equipped with 220 Power, built in heaters, fully insulated and room for a work shop, working on your cars or ATVs, or just heated parking. Back yard is fully landscaped and fenced with plenty of privacy. Book a showing today! Home for sale at 75 Sanderling Hl Nw Calgary, Alberts t3k 3b7. 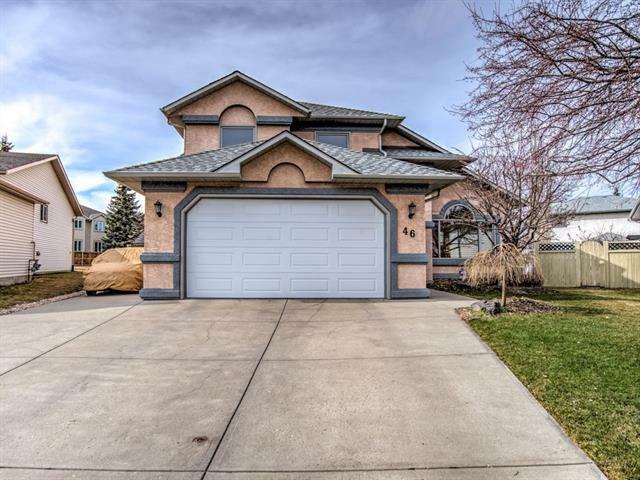 Description: The home at 75 Sanderling Hl Nw Calgary, Alberta t3k 3b7 with the MLS® Number C4232458 is currently listed at $430,000.